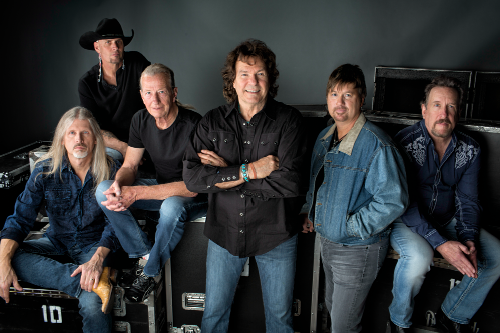 *Due to the effects of Hurricane Florence the performance by The Outlaws (originally scheduled for Thursday, Sept. 27, 2018) at the FMU Performing Arts Center has been postponed until Saturday, Jan. 26, 2019. Tickets already purchased may be used for the January show, may be exchanged for another show at the PAC for tickets of equal value (subject to availability), or may be refunded. Ticket holders can contact the PAC Ticket Office (843-661-4444) for more information. For The Outlaws, it’s always been about the music. For 40 years, the Southern Rock legends celebrated triumphs, endured tragedies and survived legal nightmares to remain one of the most influential and best-loved bands of the genre. Now, The Outlaws return with new music, a new focus and an uncompromising new mission- respecting the group’s own legacy while refusing to be defined by its past. Formed in Tampa in 1972, The Outlaws’ first three albums- The Outlaws, Lady in Waiting and Hurry Sundown, featuring such rock radio favorites as “There Goes Another Love Song,” “Green Grass & High Tides,” “Knoxville Girl” and “Freeborn Man”- would become worldwide gold and platinum landmarks of the Southern Rock era.